In 2002, Marvel issued the ‘U-Decide’ Challenge. It pitted Peter David’s Captain Marvel against Bill Jemas’ Marville and the Joe Quesada-backed Ultimate Adventures (by Ron Zimmerman and Duncan Fegredo). After six issues of each series was released, the best-selling title would be able to continue as an ongoing. 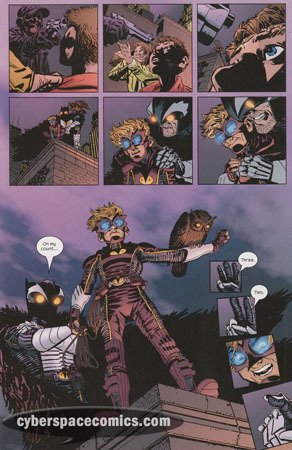 Ultimate Adventures focused on Hawk-Owl, a vigilante hero in Marvel’s Ultimate Universe. He was clearly a knock-off of Batman and this was the story of how he got his sidekick Woody (Robin, for all intents and purposes). 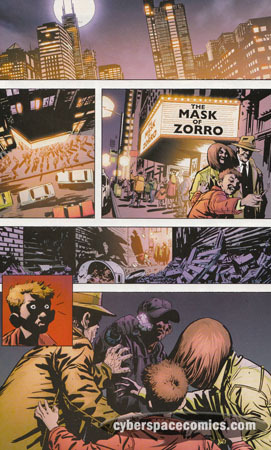 Ron Zimmerman used the story to highlight some things that he liked about Batman … and some things he took issue with. Just like Batman, Hawk-Owl’s parents were dead. They didn’t die in a way that would provide motivation for superheroics, though. But, regardless of that, Hawk-Owl became a hero because “it was the right thing to do” … not because he needed a motivation or shove in the right direction to be a hero (like Batman did …. Zimmerman points out not-so-subtly). He also pokes a little fun at the reality of child-endangerment when young sidekicks join in on super-adventures. Anywho … I’m getting away from the main point here. 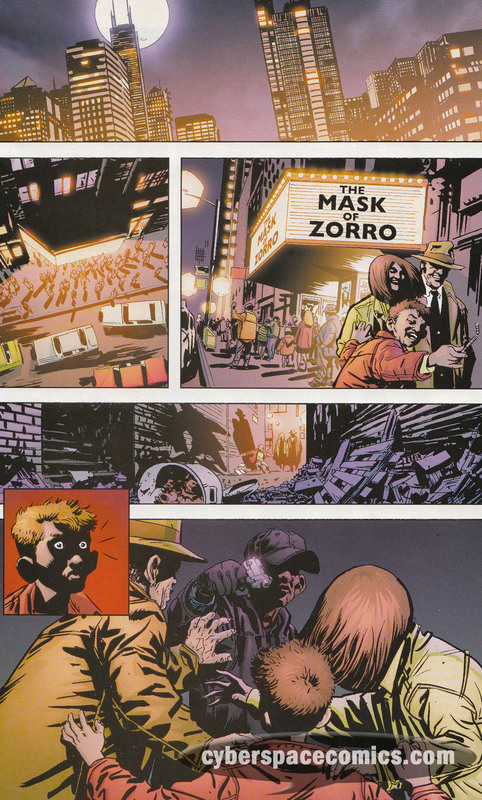 Y’see, in the final pages of issue number six, Zimmerman/Fegredo put out a nice nod to the origin of Batman. Hawk-Owl and Woody descend upon a mugger who’s holding up a young couple and their son as they’ve just exited a movie theatre showing the Mask of Zorro. True Batman fans will recognize this as the incident that served as the main motivation for Bruce Wayne to become Batman. Now, in the Ultimate Universe, Bruce will never grow up to be the caped crusader! But that’s OK … they’ve already got Hawk-Owl. Although this is an older post, Discovered this blog while using Bing. This was a pretty good article. I’d like to see you remove the primary idea from this post and make another second page, and maybe embed a movie, too?